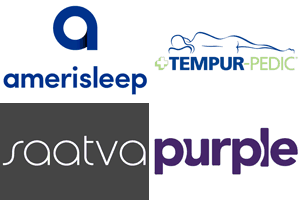 Around 25 years ago, Tempurpedic introduced one of the first widely consumed foam mattresses to the mass market. It was an instant success; the only problem was that it cost an outrageous amount of money. For the next few decades, foam mattresses appeared to be luxury items that were only accessible to the wealthy. Fortunately, companies like DreamFoam have begun releasing much more affordable foam mattresses – this has made luxury mattresses available to almost any consumer. DreamFoam is actually a subsidiary of larger mattress producer Brooklyn Bedding. They created DreamFoam to supply extremely low-cost foam mattresses to their customer base. They have a wide variety of foam mattresses at different price points. For the purpose of this review, we will be reviewing their most affordable mattress, the Arctic Dreams Cooling Gel Mattress. Should I Buy an Arctic Dreams Mattress? As mentioned previously, the Arctic Dreams mattress is the most affordable of the DreamFoam mattress line. For this reason, it has a very basic construction design. The mattress is made up of three different foam layers – all which have unique characteristics. We will explore each of these layers in further detail below. Top – This layer is constructed from .75” of ‘Super Soft Foam’. This is a material that is supposed to provide ultimate comfort to those who sleep on it – it will relieve any pressure or stress that your back has accumulated throughout the day. Middle – This layer is constructed from 3” of Energex gel foam. This is a hybrid foam that has many of the traits of memory foam without the added heat retention. It also has a bit more bounce than traditional memory foam. Bottom – This is constructed from 6.25” of high-density support foam. This is the foundation of the entire mattress – it provides the firmness so that other layers of the mattress can focus on comfort. As you can see, the entire mattress is made out of foam. Each layer provides its own benefit to the mattress, but the overall design is quite simple. The total thickness of the mattress is about 10”, which is in-line with the industry standard for foam mattresses. There are actually a few different versions of the mattress, so the exact thickness will depend on which one you order. Just because the construction is minimalist, doesn’t mean that the mattress isn’t comfortable and supportive. We will explore additional details about the mattress further on in this review. DreamFoam has followed industry practice by creating an extremely minimalist and noninvasive cover for the Artic Dreams mattress. The cover is made from a mix of cotton and polyester. The result is a thin, stretchy, and durable cover. You’ll find that it doesn’t retain any heat – the material is extremely breathable. 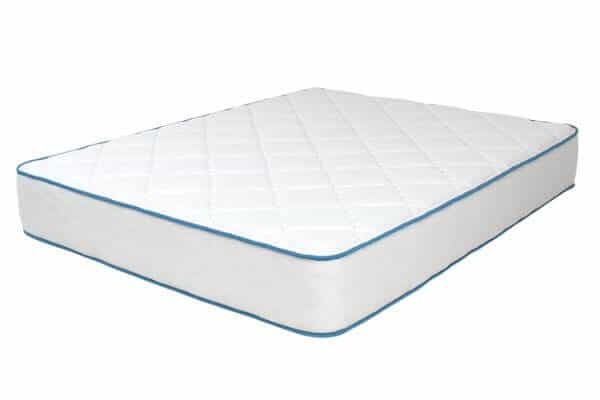 The Arctic Dreams mattress has an extremely soft top layer, any additional cover material would prevent the sleeper from enjoying this awesome foam. DreamFoam have done well to provide the most functional cover possible. If you think that the materials used in the mattress are suitable to your tastes, the next thing to decide is whether or not the Arctic Dreams mattress is comfortable and supportive enough for you to invest in. We ran substantial tests on the mattress to try and assess what level of support it provides those who sleep on it. For the purpose of our testing, we assessed the traditional Arctic Dreams mattress (Medium) – there are now two other versions that provide different support levels. The Medium Arctic Dreams mattress comes in at about a 5/10 support level. This is a great level of support for those who do not weigh over 220 pounds. If you do weigh over this, you’ll find that there simply isn’t enough support in the mattress to provide you with a comfortable and healthy sleep. A 5/10 is a great support level for anyone that is under this weight – it’s even a decent level for young teens or children. You won’t feel much pressure or resistance on your back, so it’s an awesome comfort level for those who find they are sore or tired by the time they go to sleep. If you don’t feel like this is a good comfort level for you, there are still other options. The Arctic Dreams mattress also comes in a ‘Medium Soft’ and a ‘Medium Firm’ configuration. The Medium Soft Arctic Dreams mattress is 12” thick, and will cost you a bit more than the regular mattress. It provides an extra amount of soft foam at the top, as well as a larger second layer. This ensures that the mattress is slightly softer than the medium version. You will sink more into this mattress than you would with the original version. For those who weigh over 230 pounds, the Medium Firm Arctic Dreams mattress might be your best bet. It is slightly less thick than the original Arctic Dreams mattress – it is 8” thick in total. It reduces the amount of foam in the top two layers so your body has closer contact with the support layer of the mattress. This is good for those who are heavy sleepers because it will provide you with a straighter sleeping position. This is good for both your sleeping quality and your back. As you can see, the amount of support and the level of comfort the mattress provides will depend on the version of the mattress that you purchase. Make sure to consult your partner with what they think would be most suitable for your mattress before you make any decisions on support levels. DreamFoam hasn’t made many changes to the Arctic Dreams mattress over the years. This is because they produce a wide variety of mattresses and tend to come out with new models when they need to update their current mattress list. The one change that has occurred is the introduction of the two other mattress types – the ‘Medium’ mattress, that scores a 5/10 for support, used to be the only mattress you could purchase. All the tests done on this mattress were done with a body weight of 145 pounds – keep in mind that the amount of sinkage will differ depending on the amount of weight that is placed on the mattress. The Arctic Dreams mattress is the perfect mattress for anyone who wants to enter the foam mattress market but doesn’t want to spend a lot of money. You’re receiving a high-quality product from a high-quality producer for a relatively low cost. It also comes with a generous warranty and trial period. The mattress is comfortable, and you can customize the amount of support that you want – this is something that isn’t offered by many mattress companies. The cover of the mattress is also a great benefit – it doesn’t interfere with the mattress at all. All in all, this mattress is an extremely good bargain. And with free shipping, there are no hidden fees or charges that increase the price of the mattress. If you want to buy a foam mattress for this price, the majority of the people operating in the space don’t produce high-quality products. You have the name of Brooklyn Bedding backing your product – this also means that your warranty is a lot more certain than it would be with an inferior company. As always, if you don’t feel like this is the right mattress for you, make sure to check out some of the other awesome mattresses that we have reviewed on our site.